We are not currently treating for bed bugs. Here is some information about them. Adult bed bugs are small, flat, reddish brown insects that are approximately the size of an apple seed. If they’ve fed, they can be swollen and appear slightly larger. The juveniles are very small, and can be the size of the head of a pin. 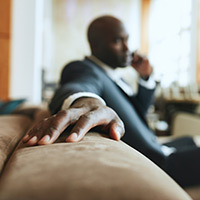 As they grow, bed bugs shed their skins, so if you find small, brown, somewhat translucent case skins on your furniture, it could mean you have bed bugs. If you found black or dark brown spots on the seams of your mattress, couch, or on your baseboards, chances are there’s an infestation. Bed bugs are excellent at hiding, and you can pick them up in a hotel, office, or anywhere else multiple people frequent on a regular basis. They can hide in your luggage or even on you, and once they’re in your home, they can be difficult to remove. Female bed bugs can lay one to five eggs a day, and once an adult feeds on blood, they can survive up to a year in the right conditions. 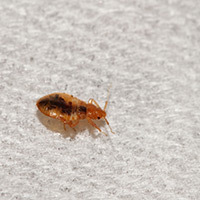 If you find small, red bites on your skin in the morning, it’s possible you were bitten by a bed bug. 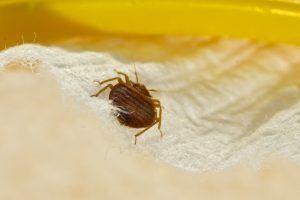 If you’re worried about bed bugs in your home, there are steps you can take to avoid bringing them inside, or, if you’ve found evidence of an infestation, there are things you can do to locate them. Before unpacking, check your luggage after a trip to a hotel (check the room when you arrive at the hotel as well). Check any secondhand clothing, furniture, and other items before purchasing and bringing them home.